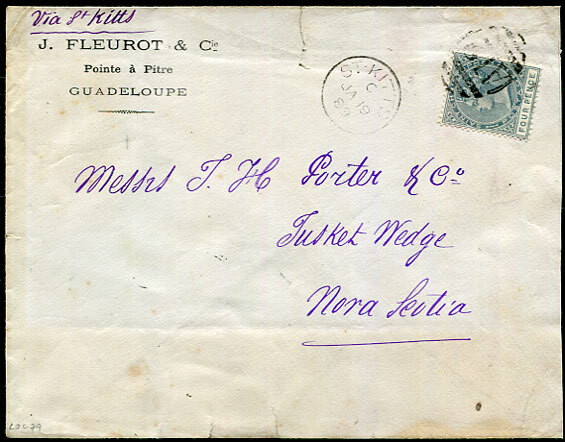 1895 cover to J.C. Crisson (former Postmaster), Turks Islands with 3 x Germany 20pfpmk'd Leipzig 16.12.95. Leipzig reg. label, red and black London reg. ovals (DE 18), Halifax N.S. cds (DE 28), St. John N.B. cds (DE 30), New York reg. 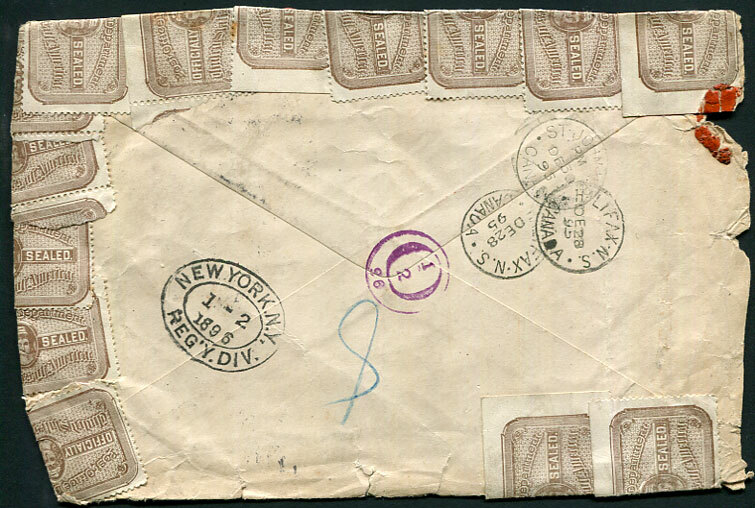 label and NY reg oval (JA 2 96) but WITHOUT ARRIVAL MARKS being most unusual for secured mail. Red wax ties fourteen "Post Office Department/OFFICIALLY SEALED./United States of America" perforated labels affixed to seal edges. 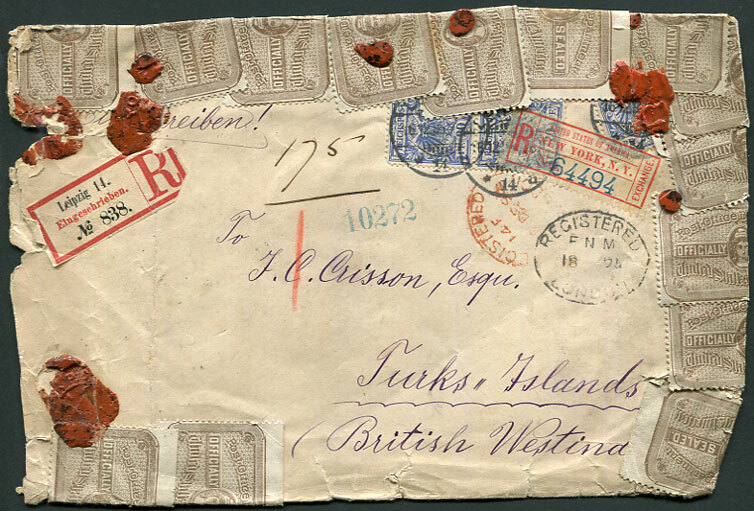 Once the transit had been interrupted with the application of the labels being applied in America this cover SEEMINGLY LOST ITS SECURE STATUS and travelled as normal mail thereafter. 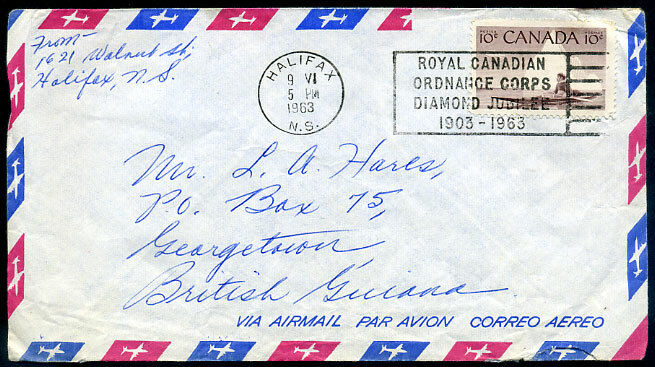 1963 cover from Canada with 10c pmk'd Halifax, N.S. 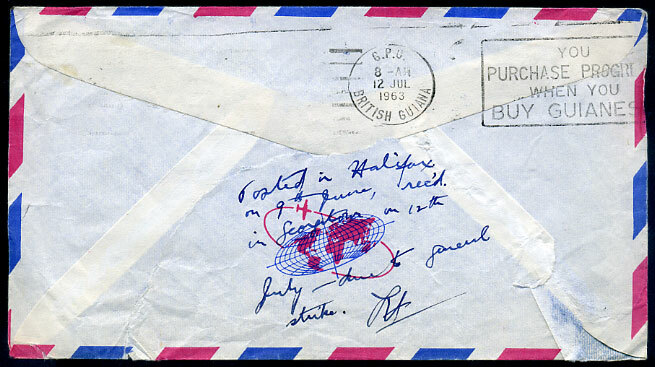 to Georgetown, endorsed in manuscript on reverse "Posted in Halifax on 9th June, rec'd in Georgetown on 12th July - due to general strike."